Rainbow Party Ideas - Great for birthdays and MORE! You are here: Home / Entertainment / Rainbow Party Ideas – Great for birthdays and MORE! Rainbow Party Ideas – Great for birthdays and MORE! Are you looking for some rainbow party ideas! We love rainbows for everything that they stand for: new beginnings, the calm after the storm, happy, bright, lovely, a gift from God, and more! 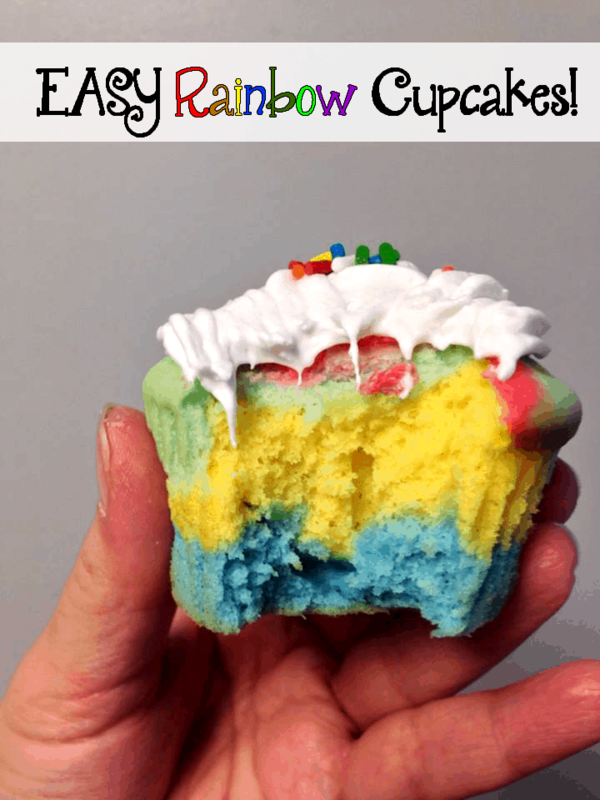 If you are looking for rainbow birthday party ideas or perhaps just ready to celebrate the luck of the Irish this Spring I have compiled a list of awesome rainbow party ideas that is sure to make you and your guests super happy! I have a family filled with My Little Pony fans and even the new Rainbow Brite on the Hallmark feeln streaming website. We just LOVE rainbows! My daughter is always looking for them and they are absolutely beautiful. 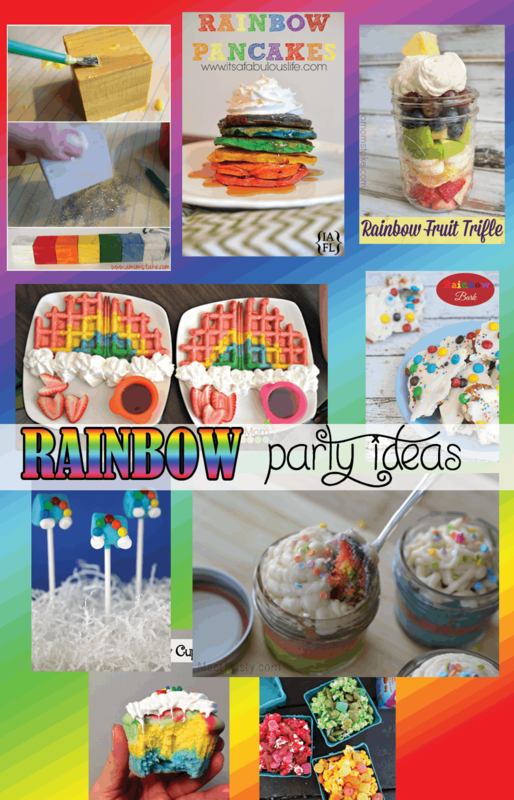 So why not have a party using these wonderful rainbow party ideas that I put together for you! There are some more rainbow party ideas on Freebie Finding Mom’s website. Also don’t forget to check out our own Pot of Gold oreos! If it is a Birthday party first you need a cake! I like cupcakes! Here are these adorable Rainbow cupcakes that I made! To create them, just make some white cake batter. Divide the batter by 4-6 colors! Use food coloring in several different bowls to create your mix. Then color by color fill the cupcake tins. I only used four colors in the cupcakes pictured: blue, yellow, green, and red. You can easily create more colors for your cake or cupcakes! 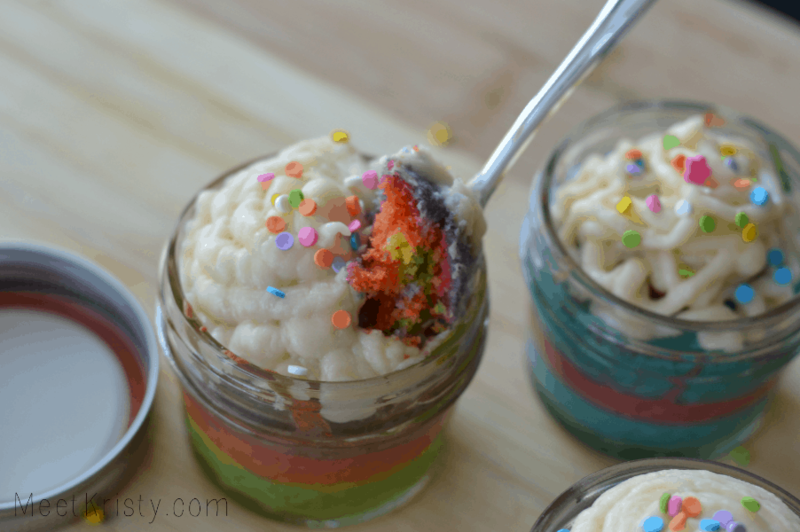 You can also create these adorable Rainbow Cupcakes in a JAR! 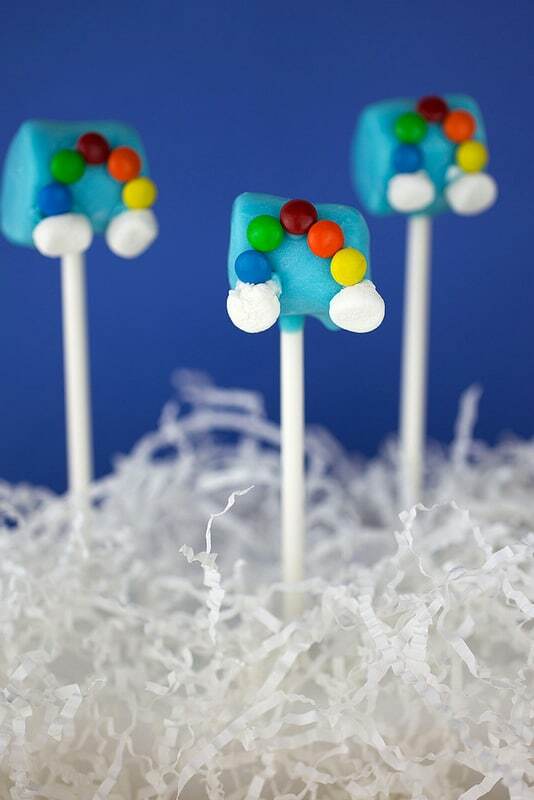 These easy marshmallow Rainbow marshmallow pops are perfect for your cake table! 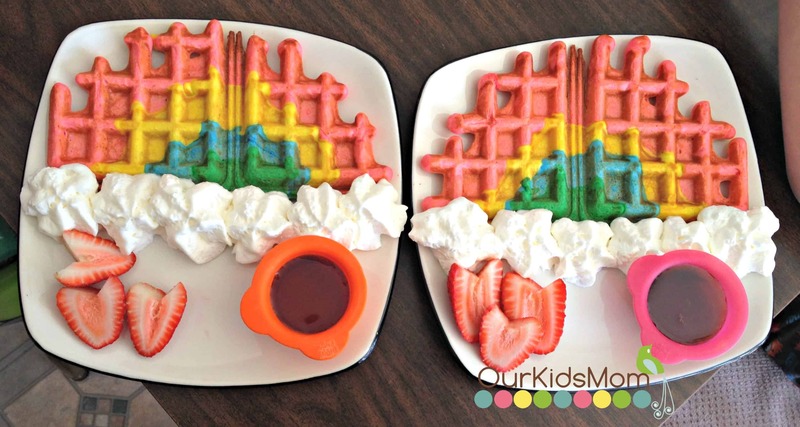 These adorable Rainbow Waffles are amazing! 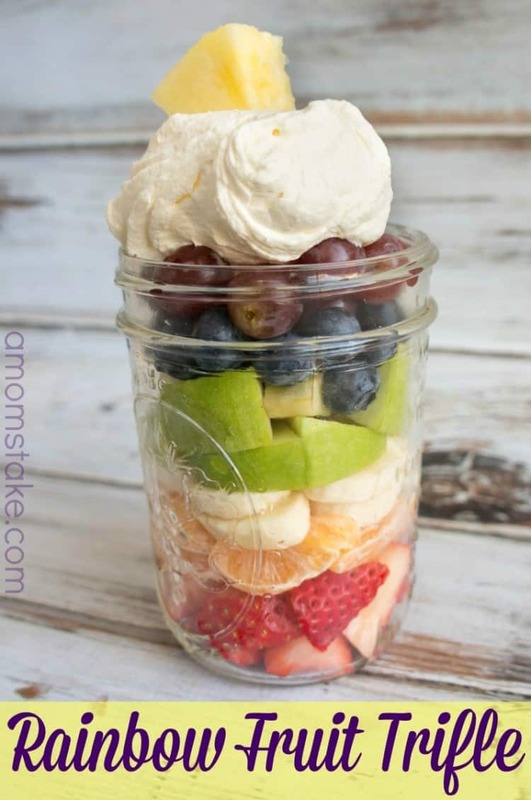 What about a yummy Rainbow Fruit Trifle, making a nice cooling snack! You can even set up a fruit station for the kids to create their OWN trifle! 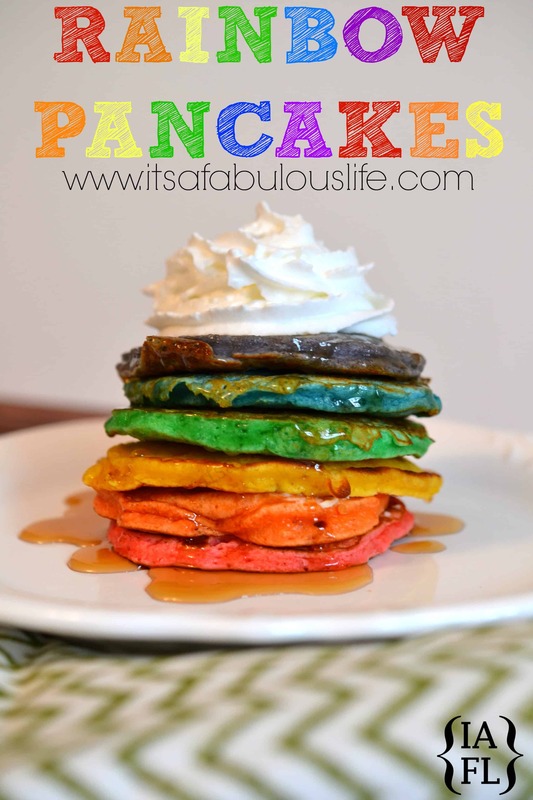 What about these amazing Rainbow Pancakes! I am thinking you can almost have a BRUNCH party! 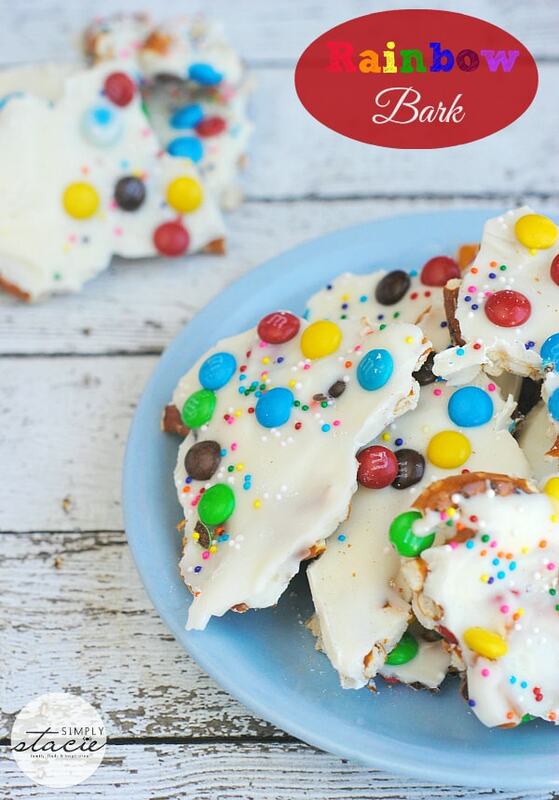 What about some delicious salt and sweet Rainbow Bark to place next to those cupcakes? 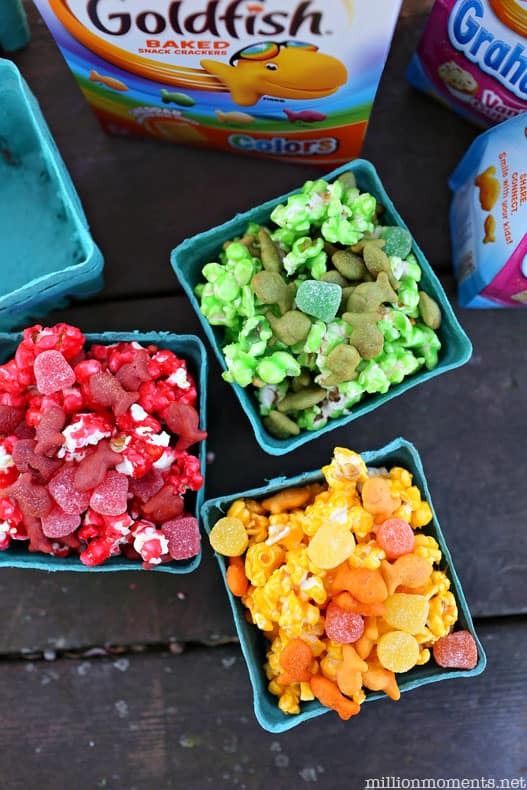 Sort snack colors and have guests choose their “color” snack mix! Painting! 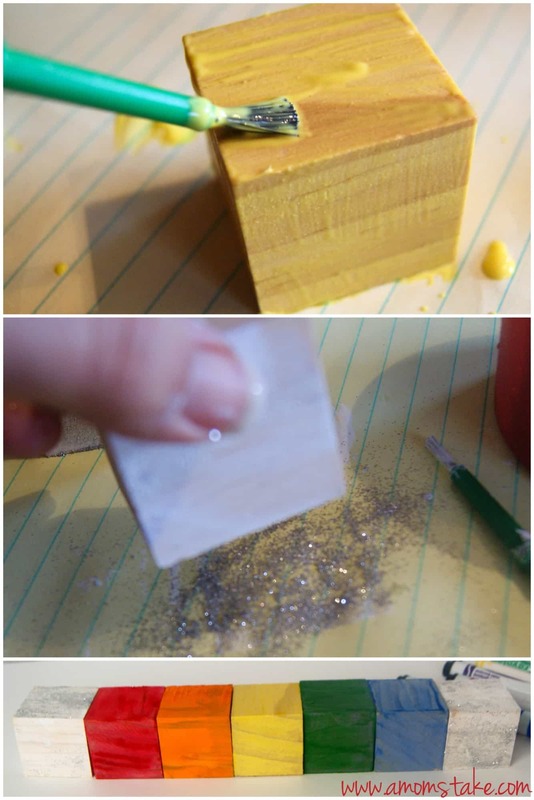 You can even have them paint with all of the rainbow colors on papers, paper plates (cut them in half for rainbows), or even create cute little blocks for them to take home! Rainbow Fruit Truffle!! Yes!! Done!! I could eat every single one of these right now……..